Back in the day, when the man with a mouse on his upper lip (otherwise known as Dickie Davis) was the anchor to ITV World of Sport, someone came up with a great idea for a new form of motor racing. 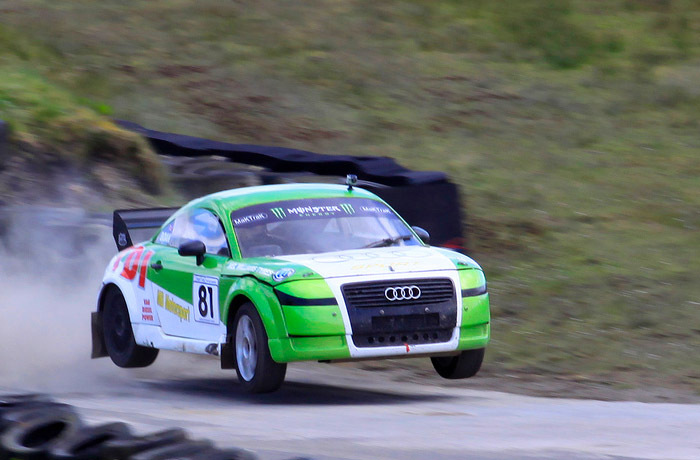 It was a hybrid of circuit racing, autocross and rallying. With seemingly virtually no holds barred it rapidly gained a loyal following of 10,000,000 plus viewers on a Saturday afternoon. As a result the names of hitherto obscure racing circuits of Lydden Hill and Croft became household names for the aficionados of the fledgling sport, as did the stars who started to emerge such as Vic Elford and Tony Fall. Rallycross had well and truly arrived. After a year of exclusive coverage by ITV, co-creators of the format, the BBC managed to muscle their way in. Each action packed race complimented perfectly the histrionic commentary style of one Murray Walker which did nothing to diminish the excitement for viewers! Who could forget the apoplectic Walker struggling to describe the mud covered cars as they careered round the muddy reaches of the infield of a circuit, then promptly barrel roll their way into their fellow competitors? Dull it wasn’t! Early on, a Dutch visitor to the UK saw the sport on TV and recognising its potential went back to Holland to develop a parallel race series. Like the UK, the sport took off quickly and gathered an enthusiastic following from competitors and fans alike. 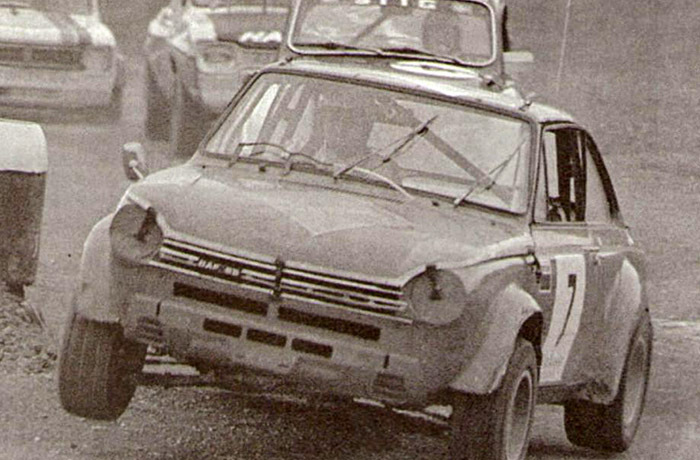 Within a few short years rallycross specials started to emerge onto the track, one of the most famous being a racer called Jan de Rooy in a 4WD Daf 55 coupe. The startling pace of his 4WD special really was the shape of things to come. 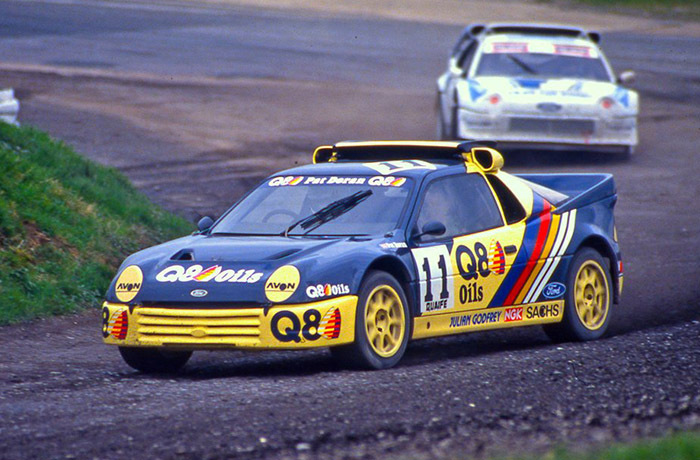 In the 1980s this became ever more evident as tracks became the home for refugee Group B rally cars with the Metro 6R4, Ford RS200 and Audi Quattro dominating the scene over less sophisticated 2WD powered competitors. But even with all that excitement on track, the TV companies slowly fell out of love with the sport and it disappeared completely from our screens in the early 1990s. However such was the following the sport had gained that it continued, regardless of TV coverage, and the cars became ever faster and more sophisticated. Today the sport is very much in the ascendance globally with big name rally drivers such as Petter Solberg and Sebastien Loeb competing in the FIA World Rallycross Championship. 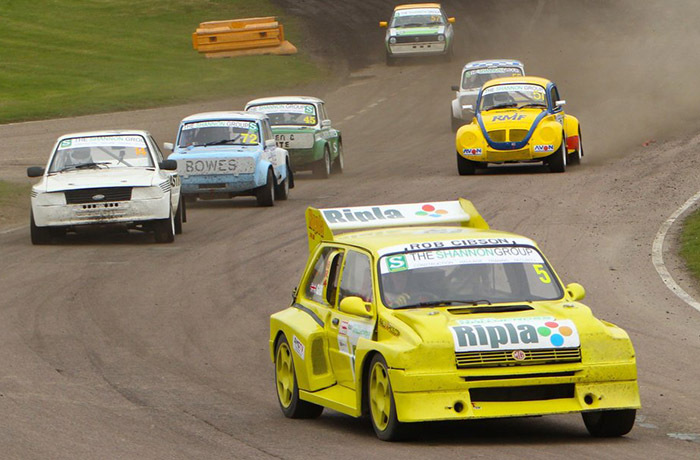 Back home, at a less high flying level, the MSA British Rallycross Championship too is thriving with Lydden Hill and Croft still on the card, but now joined by Pembrey and Silverstone no less. And it’s here that you’ll find one the newest ‘recruits’ to the NGK stable, Michael Boak. Michael has campaigned a number of cars over the years, starting with a Mark 1 Golf he originally competed in Autocross. From there he progressed to building his own space frame design, front wheel drive, turbo engined car with which he achieved a slew of race wins. And his next car proved equally revolutionary because he became the first driver ever to compete in a diesel engined car, an Audi TT. 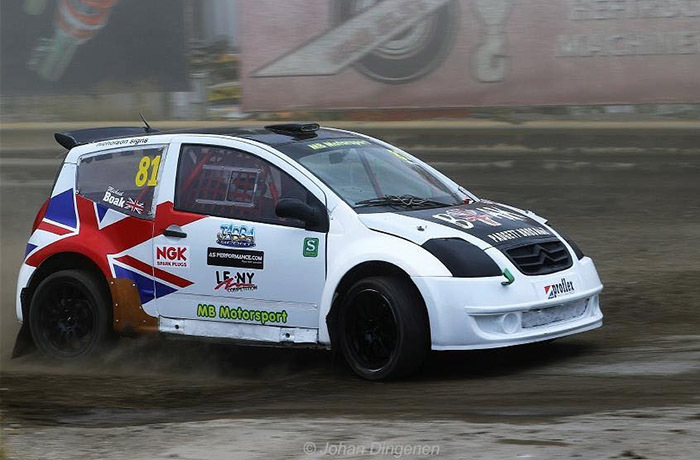 The next one after that and current ‘mount’, is a Citroen C2 that he competes in the Super 1600 class in selected rounds of British and European Rallycross Championships. 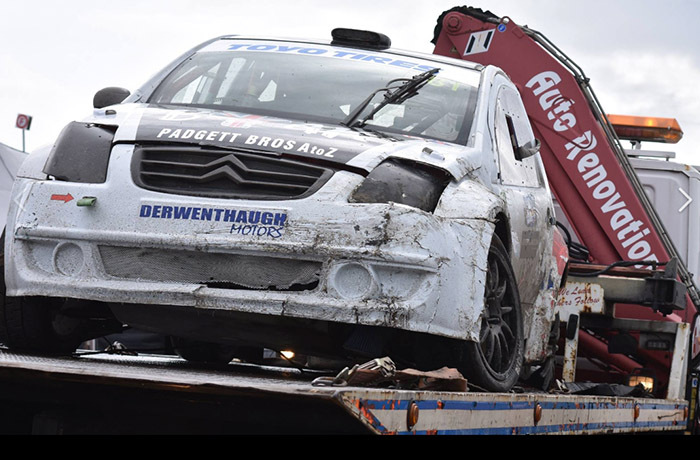 The Super 1600 class is basically the highest class for 2WD cars so race wins against 4WD competitors are unlikely but bearing in mind the difference in traction, Michael has had some seriously impressive results, the most recent of which was a fourth overall at the BelNed cup in Holland. As in all forms of motorsport, nothing stands still. That’s why Michael and his team continue to develop the car, looking to improve their points haul and head up the table. Like so many competitors though, their budget dictates the number of races they can attend and European rounds add a whole load of extra costs which make stretching your money even harder. But that doesn’t make them give up. Oh no. Onwards and upwards is the aim of the game and if the results of the season are anything to go by, they’re heading in the right direction.